There are lots of artists in the world looking to express themselves using the latest media available. On such media is the IPAD. The large screen allows artists to create their content with ease in a portable device allowing them to take their art to new places. To get started with their new masterpieces or just doodle around, they will need the right tools for the job. There are plenty of apps in the store to choose from, but let us see which of these makes the top 10. Simply stunning! There are a lot of ways to describe this app but most of us would only respond with a jaw drop. Mobile art has gone to the next level, and Sketchbook pro for Ipad is leading the pack. Armed with a large array of tools for the professional artist, a digital masterpiece becomes only a few taps away. The tools allow for sharp computer generated art to be rendered in a portable tablet. 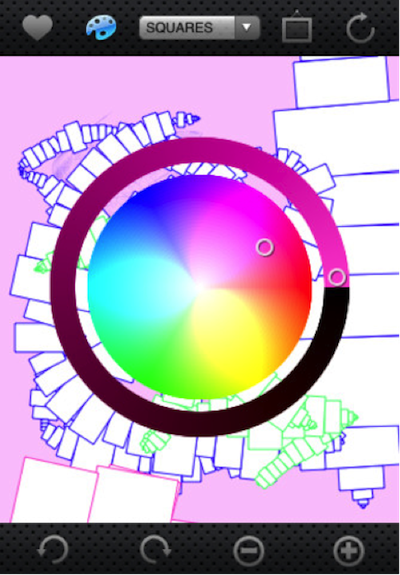 While this is one of the best apps for digital drawing, the complexity of creations would vary on the actual skill of the artist in creating digital art which was previously only possible on a computer. Since many people are not able to utilize this tool to its maximum potential, there is not much adaptability. 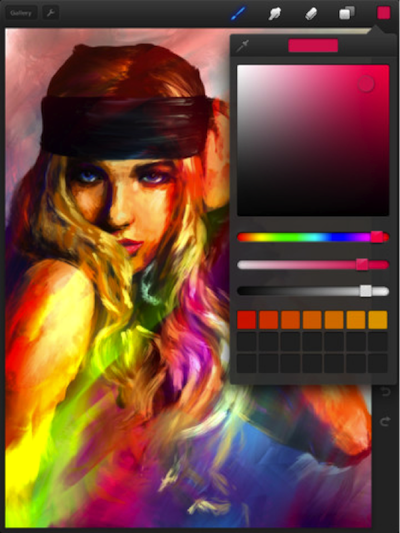 Procreate is a next-generation painting tool that promises to pull away from the rest. This amazingly detailed painting tool brings fort smoother painting not available to other apps. What make this app different is not only does it track you finger’s movements, but it also “thinks” like your finger is a brush. Every stroke, curl and twist while you swipe across your screen is emulated as if an actual paint brush is rubbing and twisting against a solid canvas. This brings a new dimension of realism to mobile painting. Art rage brings out that raging painter in you. Art rage takes mobile painting to the next level with a powerful paint tracking and emulating engine that seeks to track how much paint you leave on your canvas. It works like a real painting where the canvas is wet and is easily affected by the next layer of paint you put on top of it. It makes painting as real as possible. It can help you practice your colour layer and mixes before you face the actual canvas, or make a painting anywhere with your Ipad in absence of a real canvas. Powerful and promises unlimited layering possibilities. The popular painting app in the iPhone is now scaled for the Ipad! This app focuses on a number of brushes that emulate the use of actual paint brushes used by painters in real life. 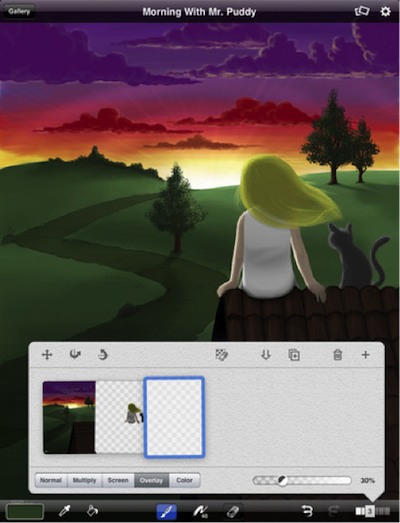 This allows the user to create awesome flat paintings with their Ipad as a canvas. The app supports multi layering which would allow each painting to evolve as they can mix and add new detail to each artwork. Definitely the perfect app if you want to strictly rely on paint brush art and want to keep things simple. For the true artist of the pencil, nothing can be more pure than Livesketch HD. You are armed with a single tool: the pencil. Be it the simple charcoal shade, or with the use of color pencils, Livesketch HD delivers an accurate environment where the user is able to make their sketches in the absence of their pencil but with the use of their Ipad. The app allows for thick and thin strokes judging solely by the speed of the artist’s hands without the need to make so many settings in between. The app itself is clean and simple but produces powerful results. If you are a frustrated artist that lacks a steady hand but wants to make great artworks using your Ipad, then Freeform is the best app for you! The idea is to draw the basic shape of the art element you wish to add to your presentation, and then freely transform the image to your liking. This form of drawing allows you to edit your strokes if you are not good with nice clean strokes. Though there are limited options, and outputs are not as complex as the other apps, there is still the niche for people who are not necessarily artistically gifted. It would be a great place to start but not the best place to finish. Not everything drawn has an art exhibit in mind. Many times, art is used for utility. That is what iDraw had in mind. 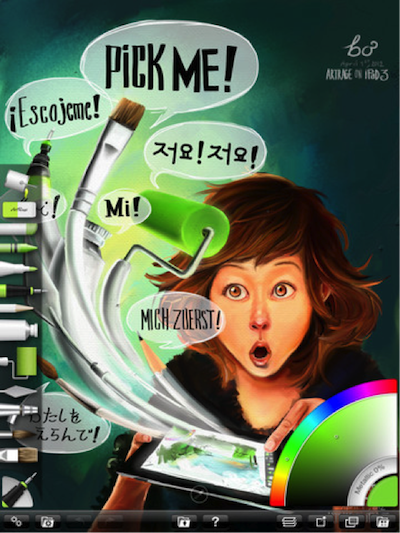 iDraw is considered by many as the best alternative to the desktop application: Adobe Illustrator. 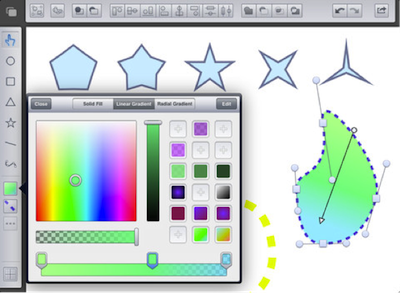 The iDraw brings forth the best shape manipulation and blueprint presentation on the Ipad. It provides the user with tools to work best with shapes and lines in an effort to bring in a skeletal structure to an art or to show a diagram in a presentation. This powerful tool allows layering and exportation into SVG format for finishing touches on other editors. Harmonious is designed to help aspiring artists without much talent needed. This app is equipped with an intelligent program that helps direct your strokes to the right direction to make a rough, workable, and shareable piece of art with as little effort as possible. 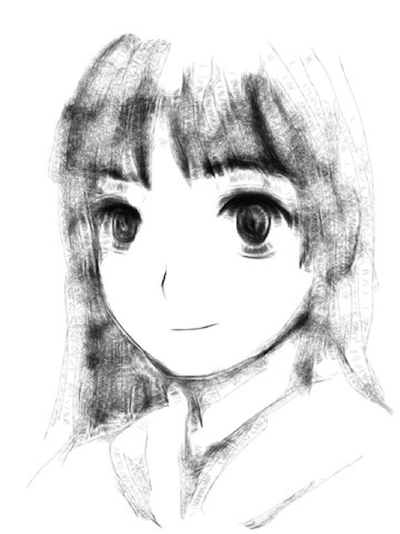 The app itself is simple and emulates a real sketchpad in a sense that it leaves marks where you have made erasures. Great for those who wants to make a quick art for a quick share. The Drawing Pad may look like it was made for a child but there are plenty of tools in this app to turn a few older eyes its way. Content creation is not solely done by the artist as there are helpful pre-drawn “stickers” that may be used to create or modify the content that the user has made. Colour bending allows for a great variety of colours available at the artist’s disposal. Even without great skill, anyone can make that perfect artwork that is quite pleasing to the eyes. My drawing book brings the child out of the artist and the artist out of the child. 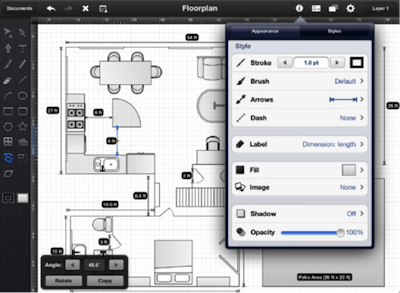 This great tool for the Ipad provides the user with a lot of tools to complete their project. 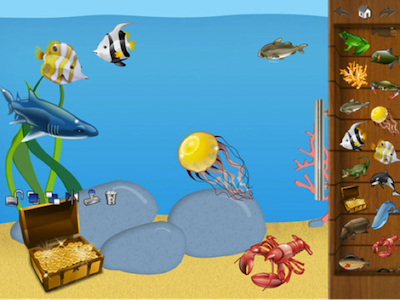 The app itself is designed for children and as such, the tools are pretty basic. You have the pencil, paintbrushes, crayons, stamps, and other things the child can use. Despite its simplicity, it certainly captures the imagination with bright colors. Perfect for a huge demographic of children that play with Ipads. 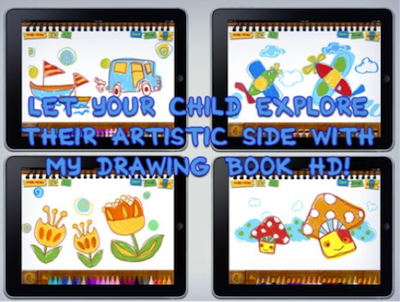 There are plenty of apps out there that allow you to raise that aspiring artist in you. The ultimate choice is made within yourself on which kind of art you would like to specialize in and which one really works for you. No matter which path in the arts you take, remember that the best part of art is having fun in the process.